Since the 1993-1994 unusual outbreak of pulmonary hemorrhage (lung breeding) in infants in Cleveland, Ohio, that was then thought to be due to exposure to Stachybotrys, the health effects associated with this mold have remained controversial. Frequently referred to as the Black Mold by the general public, Stachybotrys has probably caused more economic and psychological agony than ill-health. 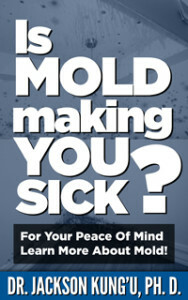 The mold has resulted in multimillion dollar remediations and litigations. Stachybotrys was first associated with death of horses in Eastern Europe in the 1930s. Horses fed with hay contaminated with Stachybotrys were reported to surfer from a disease characherized by irritation of the mouth, throat, and nose; shock; dermal necrosis; a decrease in leukocytes; hemorrhage; nervous disorder; and death. While Stachybotrys is so much feared the number of cases where it was the cause of ill-health or death are insignificant compared to some other toxigenic molds such as Aspergillus flavus or Aspergillus fumigatus. There are about 15 species of Stachybotrys but the most well known is Stachybotrys chartarum. Stachybotrys chartarum is sometimes erroneously referred to as pathogenic mold. When encountered in buildings it’s a serious problem for homeowners, building managers and remediation contractors who must deal with the human issues and remediation. The presence of a single spore in an air sample is enough for some professionals to declare the remediated building unfit for human occupancy. Currently there is no scientific evidence to support such a decision. Perhaps such decisions are driven by fear of liability, fear of being sued by someone who may later believe they were sick because the building was found to have a few spores of Stachybotrys when they occupied it. It’s time the scientific community demystified Stachybotrys, the black mold, for everyone’s peace of mind. Should you have a question on Stachybotrys please contact us at 905-290-9101 in Ontario or 604-435-6555 in British Columbia. 1. Stachybotrys chartarum: The Toxic Indoor Mold. 2. Indoor Mold, Toxigenic Fungi, and Stachybotrys chartarum: Infectious Disease Perspective. Paecilomyces sp. is commonly found in soil and dust, less frequently in air. Paecilomyces variotii can cause paecilomycosis. It is linked to wood-trimmers disease and humidifier associated illnesses. Species of Paecilomyces are reportedly allergenic. Some members of this genus are reported to cause pneumonia. It may produce arsine gas if growing on arsenic substrate. This can occur on wallpapers covered with paris green.